TV Patrol ABS-CBN annouced that Donaire will defend his title against the American boxer Jessie Magdaleno on November 5, 2016 at Thomas & Mack Center, Las Vegas, Nevada, USA. 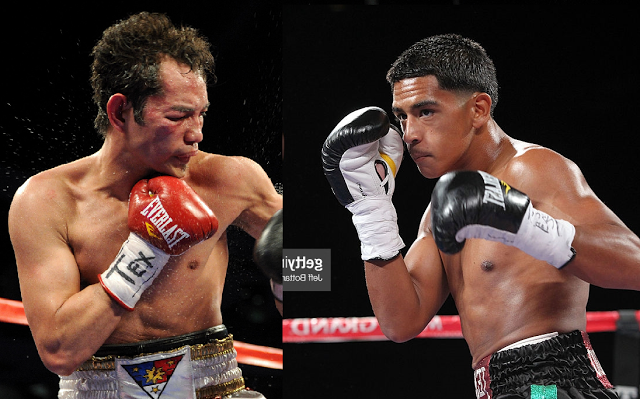 The 33 years old Donaire with the record of 37 wins including 24 victories by way of KO and has only 3 defeat finally defend his WBO World super bantamweight title for the 2nd time against the undefeated hard-hitting 24 years old boxer Jessie Magdaleno. Donaire won his title last year vs the Mexican warrior Cesar Juarez via Unanimous Decision. Donaire successfully defended it last April 2016 against Zsolt Bedak in the Philippines via 3rd round TKO. On the otherhand, Jessie Magdaleno is a top opponent for Donaire. Magdaleno is 9 years younger and a very top prospect also from the Top Rank. Magdaleno has unblemished record of 23 wins including 17 victories by KO with no losses. Magdaleno defeated some Filipino boxers including Vergel Nebran and Rey Perez in his last fight.